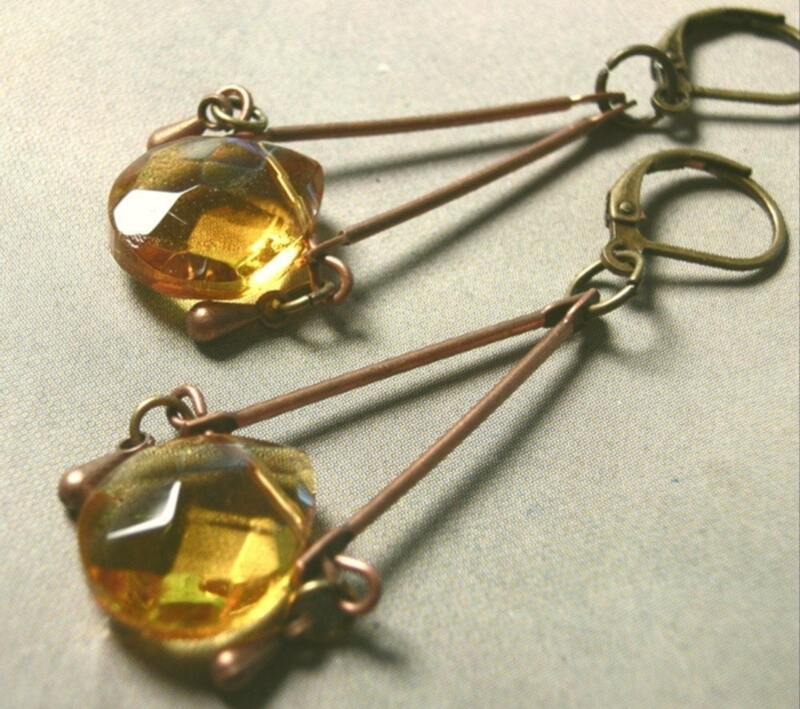 GilBea's Fashion & Handmade: Monday Giveaway - Earrings! I love birds! I have a cockatiel named Spanky. And I love necklaces! Why not buy something which includes both of my favorite things! This--bleeding heart jade pendant is absolutely gorgeous! As are all of your items! Omgosh, I could have been lost for hours in the beautiful shoppe! I love the Green Peace Earrings and because I have a special place in my heart for ladybugs, the petite lady bug portrait necklace, is one of my favourites as well! I love the peach bird w/ carnelian necklace! Gorgeous pieces! Thanks for the chance! What a beautiful collection of jewelry! I love the colors of honey on toast ii. Thank you for sharing! Charm Necklace. Please count me in on this fabulous contest drawing. The Three Elements earrings are my favorite item - very fine looking! Beautiful earrings. My favorite thing from the Etsy shop is the sparrow's flight necklace. I love birds and have two cocktails. 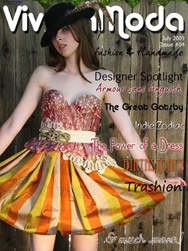 I love the Lady Marmalade necklace.I am a subscriber. My favorite is the leaf collection. They are beautiful! I love the Red Bird Necklace. Your jewelry is beautiful. Thanks for the contest! Everything is so beautiful! I love love love her golden leaf I earrings, gorgeous! Thank you so much! I love the anthropologie necklace! The Patina Butterfly Pendant is my fave. Oh I love those earrings so much....sure hope I won some. heart and a prayer necklace. I love your garnet and turquoise necklace!! and the anthropologie necklace and alot more. I just can't decide. Your use of materials and colors is amazing. Thanks! Hi again. I am also now following your blog! I am new at blogging so if you decide to visit my blog..no laughing..LOL!! bi-coastal love lariat really speaks to me. there are so many beautiful items on the site, but these just jumped out at me. I love the clearness of the stones, and the heart shape with it, really lovely. The Heart and a Prayer necklace is beautiful. I'd like to wear the fairy lanterns! I love the anthropologie necklace. Such pretty jewelry! I especially like the necklace titled "Juliette's Promise"
I love the bleeding heart jade pendant. Gorgeous! I like the fairy lantern earrings..very whimsical. Love the turquoise and garnet together in this necklace! I like the simple lady bug portrait necklace! I love the Red Bird earrings - such gorgeous stuff! I LOVE the Fairy Lantern earrings. So classy! I love the autumn trails scarf--very unique! Beautiful gemstone fringe and coloring! I really like the mustard flower necklace. I love the peach bird w/ carnelian necklace. What a fantastic job you did on the bird. I love the turquoise & garnet necklace! I love the rose quarts tulips!!! i like the red bird necklace! I like the two flowers earrings. The Red Bird Dream necklace is so pretty! I love the purple bird and amethyst points necklace! The Rose Quartz earrings are very nice. Love the dark green cinnabar and amethyst earrings. My two favorite colors! I absolutely love the yellow bird charms necklace. I really like the anthropologie necklace. Very pretty. THank you for a great giveaway! I love the Turquois Cloisonne Earrings. turquoise cinnabar and amethyst earrings are pretty. You have the coolest stuff...your own design style...I like it alot! I love the blue flower earrings, they're so funky and cool! Streetnoodles has some of the coolest and most beautiful unique jewelry! I love the combination of very unique, colorful embellishments that are used to create each little work of art! There is such a wide assortment of gorgeous items it truly was hard to pick a favorite! At the top of my list is the stunning Tribal Rich Necklace! The colors are breathtaking and the elegant design just wonderful! Thank you for the opportunity to enter. I love the Midnight song bird but also love the Three elements. I fell in love with the dark green cinnabar and amethyst earrings! I really like the red bird charms necklace. Christina - xristya@rock.com - I love the Peach/Gray Bird's Prayer Box! wow.. this was really hard to choose.. fantastic designs here... fell in love with the organic garnet earrings along with 20 or so other wonderful pieces.. ty so much for this giveway! My favourite item is the rose quartz tulip earrings! Beautiful jewelry! My favorite is the black widow agate necklace. I love the AS-IS bleeding heart jade pendant...so unique!! My favorite is the organic garnet and pearl necklace. Beautiful! I also love the golden leaf earrings! Thanks! I like the red bird charms necklace! My e-mail address is in my Blogger profile. Thanks for the great giveaway! The blue flower earrings are really nice. I love, love, love the Red Bird Necklace and would to own one!!! garden locket is my favorite! Looks gorgeous! I simply adore the amethyst gingko earrings! It looks like a mermaid's tail and is really pretty. I love the pretty follage necklace. I like the turquoise cloisonne earrings. Thank you! I really like the follage necklace! I love the pink bow earrings. Thanks. I like the blue flower earrings. Thank you. Love the The Heart and a Prayer necklace! Thanks!! I love the as-is bleeding jade heart pendant. All of the jewelry is fabulous and affordable! The yellow bird charms necklace is my favorite! I like the rose quartz earrings. The items in this shop were really unique and really wonderful. I like the black widow agate necklace the best. Thanks. The entire collection is wonderful and so creative, so it's really quite impossible to come up with or narrow down to ONE favorite (I've got an overflowing Shopping Cart to prove it!) So, aside from the gorgeous prize, (and the exuberant "Tribal Rich Necklace") I'm torn between the "Bleeding Heart Pendant" (the AS IS version is ingtriguing too - as it literally shows the wear and tear on a heart that bleeds for others,) the lovely "Follage Necklace," the delicate "Juliet's Promise Necklace," and the exquisite expressiveness of the "Green Peace Earrings". Sorry to rattle on but - these inspired creations are inspiring me! Thank You for THAT, most of all. I love the Bleeding Heart Jade Pendant ! the peach/grey bird's prayer box is so awesome!